The Affordable Care Act (Which is the same as Obamacare, despite the fact that the two names get very different levels of support.) is going to be repealed. 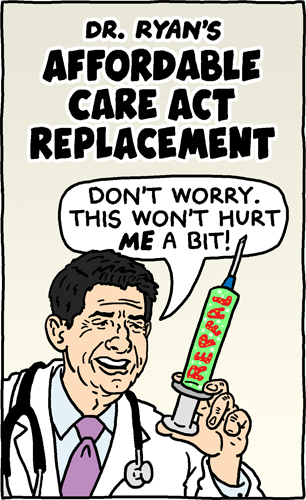 Its replacement is going to be our old way of letting more people die of preventable disease. While an improvement over that, the ACA is far from great and should be improved and expanded. Politicians who deluded themselves into pretending the ACA was perfect and needed no improvements had a hard time selling that to the public who actually uses it. Single Payer is a goal that every campaign should champion. Save the “let’s stick to what’s politically possible” for the end of a debate. Starting from there is a loser’s game.